As I lean more and more into the world of graphic novels (they're much quicker and more satisfying when you have a small child and not as much time to read anymore), I figured I absolutely had to dig into the best of the Dark Knight. 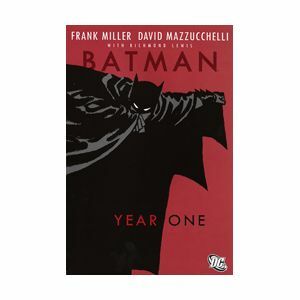 Batman: Year One is ranked highly on many best-of graphic novel lists, including #14 all-time by Forbidden Planet. Created by the legendarily dark Frank Miller, with a resume that includes Sin City, Ronin, and 300, the truly mysterious origins of Batman are unraveled in this tale. It places the police investigator Gordon into the same corrupt city as Batman, who is in his first year of fighting crime in Gotham. Gordon has been transferred with his young wife from Chicago and Batman is returned from a long time away training in martial arts and science. The two men seem to be the only forces for good in the entire gangster, prostitute, and thug-filled place, and their paths cross several times. The final scene places them on a rooftop discussing someone called The Joker who may be planning to poison the city's reservoir. This truly is a piece of art that "defines Batman for a new generation" and ensures that he will be a leading -- if not the flat-out best -- superhero for a long time to come.